Israeli special forces and police raided the Al-Aqsa Mosque compound, via the Moroccan Gate, on Thursday morning. Forces also stormed the Marawani and Dome of the Rock mosques, inside the compound. 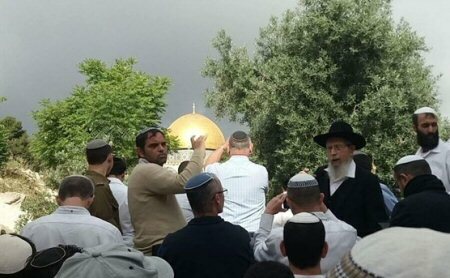 An Israeli policeman also attempted to enter the Dome of the Rock mosque wearing a kippah; Israeli forces then imposed closure on the compound for several hours, having been heavily deployed across the compound since early morning. The third holiest site in Islam, it is also venerated as Judaism’s most holy place, as it sits where Jews believe the First and Second Temples once stood.